Global financial services firm Cantor Fitzgerald, has augmented its Emerging Markets Debt Capital Markets (DCM) sales and trading team with a trifecta of appointments, according to a Cantor Fitzgerald statement. Last month, Cantor Fitzgerald Europe again added to its equities personnel naming Caspar Kydd as its Director of Institutional Equity Sales. Furthermore, the company also recruited Steven Bisgay as its Chief Financial Officer (CFO). 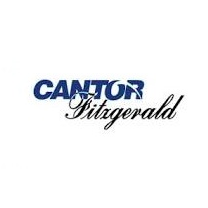 Collectively, Dray Simpson, Alex Yulman and Michael Barfoot have been appointed as managing directors of Cantor Fitzgerald. In particular, Mr. Simpson will be based out of London, while Mr. Yulman and Mr. Barfoot are slated to be based out of New York. All three individuals will be reporting to Charles Cortellesi and Erich Bauer-Rowe, co-Heads of the Debt Capital Markets’ Emerging Markets Division at Cantor Fitzgerald. “Their extensive track records and network of relationships will make an impact on the Emerging Markets team, and help the team provide best-in-class services product, strategy and execution on a global level,” he added. Prior to joining Cantor Fitzgerald, Mr. Simpson worked in a variety of senior level roles in Emerging Markets (EM) at Deutsche Bank, Alcantara Asset Management, and Dragon Capital. Alternatively, Mr. Yulman previously also worked at the EM Credit trading desk at Morgan Stanley, having held senior roles at Deutsche Bank, Royal Bank of Scotland and ABN AMRO. Finally, Mr. Barfoot joins Cantor Fitzgerald from BNP Paribas, where he traded Latin American sovereign credits as its Director. Moreover, he also was the VP at Bank of America Merrill Lynch prior to this.